1. Catalonia is one of the most important wine regions of Spain, which is particularly known for its sparkling wine, the cava. But in recent years there is also more and more attention for the still wines. Famous for both its cava and still wine is Bodegas Can Feixes, a company that exists since the fourteenth century. Since the Feixes family died in the early twentieth century, the company is led with great passion by the Huguet family. The current Huguet generation consists of the three brothers José-Maria, Joan and Xavier, who put their heart and soul into the domain. We visited this winery, which is located in a beautiful sloping landscape, near the village of Cabrera d’Anoia. Joan, the middle brother, showed us around at the winery and drove us along the vineyards in his Land Rover, with his fantastic dog Bíll running happily ahead of us. Afterwards, a wine tasting was on the program. I am not an expert on wine at all, but the only other time ever I felt as connected with the art of winemaking as this time, was in Svätý Jur in Slovakia, with fellow wine maker Michal Bažalík. It was not only the passion for the profession that touched me, but also the quality of the Can Feixes wines is absolutely worth writing home about. The Huguet brothers do not organize special tours for tourists, but they will welcome you with love to Bodegas Can Feixes, and will tell you and show you everything you want to know. Fun fact: The Netherlands is the second largest buyer of the Bodegas Can Feixes wines. 2. I can’t write a blog about Catalonia and leave the gastronomy unnamed. Food is the main theme throughout the day for Catalans and an important moment for being together and connecting. As in many other parts of southern Europe, the main meal of the day is served at 2 PM / 3 PM in the afternoon, followed by a smaller meal in the evening at 9 PM / 10 PM. Both meals consist of a starter, a main course and a dessert. Not only do Catalans eat good food, but also a lot. There were plenty of times this week that I could not finish my plate. 3. One of the most special and typical Catalan things I experienced during this trip was a ‘calçotada’; a gastronomic tradition where so-called calçots are eaten. Calçots are long, sweet onions. They look a bit like super-sized scallions. Originally they come from the town of Valls, but nowadays they are typical throughout all of Catalonia. Calçotadas are held in the first quarter of the year, from mid-January until Easter. The calçots are prepared on the flames of a grill or barbecue, until the outer layer turns black. Once grilled, they are wrapped in newspapers to simmer in their own heat and after that they are ready to be eaten. The outer, burnt layer is easily removed with your hands. (And you get incredibly black hands because of it, but this just adds to the fun). Then you dip the calçots in a special sauce and eat them like Dutch people eat herring. Personally I am a lot more a fan of calçots than of herring. I think I have to move to Spain. 4. Another typical Catalan tradition that I wouldn’t want you to miss is that of the ‘castells’; an activity in which human towers are built. It is an inherent part of important holidays and manifestations. Every larger municipality has its own team of ‘castellers’ and every two years there is a festival with classification, in which the different teams compete against each other. This tradition originated at the end of the eighteenth century and was added in 2010 to the immaterial world heritage list of UNESCO. We visited one of the training evenings of the Moixiganguers d’Igualada, the team of castellers of the municipality of Igualada. An evening where you as a tourist are most welcome to just walk in and have a look. I found it very impressive to see. The creation of such a castell is not easy, there is a whole structure to ensure the stability of the tower and the safety of the castellers. I found it most special to see how such a large group of different people form such a unity. No matter your height, no matter your weight, no matter your age; everyone works together and everyone has an equally important role. A great example of how a society in general should be. Click here to visit their website. 5. Speaking of holidays and manifestations, a good time to visit Catalonia is around the 23rd of June. Although the shortest night of the year falls on June 21, Midsummer’s Eve in Catalonia is celebrated the night of June 23 to 24; La Nit de Sant Joan (The Night of Saint John). Summer is welcomed with spectacle, magical symbols and legends. A night full of fireworks, party and music. A special ‘coca de Sant Joan’ is eaten and cava is drunk. And of course the castellers also take action. La Nit de Sant Joan is one of the most important celebrations in Catalonia and one of the favorites for most Catalans. I visited Catalonia at the end of March and have not yet been able to experience this holiday, but if it is up to me, that will change in the future. This is bucket list material. 6. Who thinks of Spain, will probably think of bullfighting; a rather controversial tradition within the Spanish culture, since at the end of the twentieth century a serious movement started in Spain that wants to abolish bullfighting. The Canary Islands were the first Spanish region in 1991 to introduce a ban on bullfighting. Catalonia was the first Spanish region on the mainland to ban bullfighting in 2010. The bullring of Las Arenas in Barcelona has been converted into a shopping center, while retaining the original façade. With over 40,000 square meters of shops, recreation and offices and with a viewpoint on the top floor, Las Arenas is now a modern center for everyone, regardless of your opinion on the history of the building. The last bullfighting contest that took place in Las Arenas was in 1977. 7. Perhaps it’s just me, but before this trip I didn’t know that Catalans often don’t speak Spanish, but Catalan. And if you think that Catalan is a dialect of Spanish, then you are wrong. It is a language on its own that is spoken in many more areas, also outside of Spain. Catalan is a Romance language that originated in Latin. When you go into the history of the language, you’ll discover that Catalan has been forbidden for quite a while. In the nineteenth century, during the industrial revolution, Catalan had a revival and since 1978 the language has been officially incorporated into the Spanish constitution. Today it is still a lively language spoken by millions of people. Did you know this? These four days in Catalonia were not only days to never forget because they were full of fun, but also because I learned a lot. When I travel, I love to feel so absorbed in a community, literally come into contact with a different culture and learn. Are you curious about where I stayed? And about a, in my opinion, perfect home base for your Catalonia holiday? Keep checking my blog, because next time I’ll tell you all about Torre Nova Resort. Have you ever been to Catalonia? Do you have any additions to this article? Als je aan Catalonië denkt, denk je waarschijnlijk automatisch aan Barcelona en de Costa Dorada. Maar Catalonië is zo veel meer dan dat. Ik was er nog nooit geweest, maar het laatste weekend van maart mocht ik het samen met vier andere bloggers zelf komen zien, en ervaren! Ik neem je graag mee naar dit mooie stukje Spanje, aan de hand van een zevental leuke feiten aangevuld met mijn belevenissen. 1. Catalonië is een van de belangrijkste wijnstreken van Spanje, die met name bekend staat om zijn mousserende wijn, de cava. Maar de laatste jaren komt er ook steeds meer aandacht voor de “stille” wijnen. Beroemd om zowel zijn cava als stille wijn is Bodegas Can Feixes, een bedrijf dat al sinds de veertiende eeuw bestaat. Sinds de Feixes-familie begin twintigste eeuw uitstierf, wordt het bedrijf met grote passie geleid door de familie Huguet. De huidige generatie Huguet bestaat uit de drie broers José-Maria, Joan en Xavier, die hun ziel en zaligheid in het domein stoppen. Wij hebben een kijkje mogen nemen bij dit wijnhuis, dat midden in een prachtig hellend landschap ligt, nabij het dorpje Cabrera d’Anoia. Middelste broer Joan heeft ons het bedrijf laten zien en ons in zijn Landrover langs de wijngaarden gereden, met zijn fantastische hond Bíll die vrolijk voor ons uit rende. Als afsluiting stond er een wijnproeverij op het programma. Ik ben geen wijnkenner, maar de enige keer dat ik me ooit eerder zo verbonden voelde met de kunst van het wijnmaken, was in Svätý Jur in Slowakije, bij collega-wijnmaker Michal Bažalík. Het was trouwens niet alleen de passie voor het vak dat mij raakte, maar ook de kwaliteit van de Can Feixes wijnen is absoluut om over naar huis te schrijven. Dus bij deze. De Huguet broers houden geen speciale tours voor toeristen, maar ze ontvangen je met liefde om je alles te vertellen en laten zien wanneer je zelf een bezoek brengt aan Bodegas Can Feixes. Leuk detail: Nederland is de op een na belangrijkste afnemer van de wijnen van Bodegas Can Feixes. 2. Ik kan niet over Catalonië schrijven en de gastronomie onbenoemd laten. Eten is voor Catalanen de rode draad door de dag en een belangrijk moment voor samenzijn en verbinding. Net als in veel andere delen van Zuid-Europa wordt ’s middags om 14.00/15.00 uur de hoofdmaaltijd van de dag gegeten, en volgt er ’s avonds om 21.00/22.00 uur een kleinere maaltijd. Beide bestaan overigens uit een voor-, hoofd- en nagerecht. Niet alleen wordt er lekker gegeten, maar ook veel. Het kwam deze week regelmatig voor dat ik onmogelijk mijn bord leeg kreeg. 3. Een van de meest bijzondere en typisch Catalaanse dingen die ik tijdens deze trip heb mogen meemaken was een ‘calçotada’; een gastronomische traditie waarbij zogenaamde calçots worden gegeten. Calçots zijn lange, zoete uien. Ze lijken een beetje op uit de kluiten gewassen lente-uien. Van oorsprong komen ze uit het plaatsje Valls, maar tegenwoordig zijn ze typisch in heel Catalonië. Calçotadas worden gehouden in het eerste kwartaal van het jaar, vanaf half januari tot aan Pasen. De calçots worden bereid op de vlammen van een grill of barbecue, totdat de buitenste laag zwart wordt. Eenmaal gegrild worden ze in kranten gewikkeld om na te sudderen in hun eigen warmte en daarna zijn ze klaar om gegeten te worden. De buitenste, verbrande laag stroop je er gemakkelijk af met je handen. (En daar krijg je ontzettend zwarte handen van, maar dit maakt het juist leuk). Dan doop je de calçots in een speciale saus en eet je ze zoals wij Hollanders haring eten. En persoonlijk ben ik een stuk meer fan van calçots dan van haring. Ik moet maar verhuizen, geloof ik. 4. Een andere typisch Catalaanse traditie die ik je niet wil onthouden is die van de ‘castells’ (kastelen); een activiteit waarbij menselijke torens worden gebouwd. Het is een vast onderdeel op belangrijke feesten en manifestaties. Iedere grotere gemeente heeft haar eigen team van ‘castellers’ en iedere twee jaar is er een festival met klassement, waarin de verschillende teams tegen elkaar strijden. Deze traditie is ontstaan aan het eind van de achttiende eeuw en werd in 2010 toegevoegd aan de immateriële werelderfgoedlijst van UNESCO. Wij hebben een kijkje genomen bij een van de trainingsavonden van de Moixiganguers d’Igualada, het team van castellers van de gemeente Igualada. Een avond waar je als kijker van harte welkom bent om gewoon binnen te lopen en een kijkje te nemen. Ik vond het heel indrukwekkend om te zien. Het ontstaan van zo’n castell gaat niet zomaar, er zit een hele structuur in om de stabiliteit van de toren en de veiligheid van de castellers te waarborgen. Het meest bijzondere vond ik om te zien hoe zo’n grote groep verschillende mensen zo’n eenheid vormen. Groot en klein, dik en dun, jong en oud; iedereen werkt samen en iedereen heeft een even belangrijke rol. Een geweldig voorbeeld voor hoe een samenleving in het algemeen zou moeten zijn. 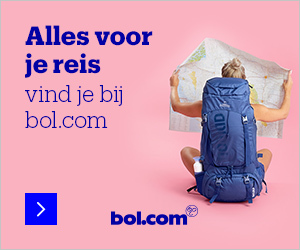 Klik hier om hun website te bekijken. 5. Over feesten en manifestaties gesproken, een goed moment om Catalonië te bezoeken is rond de 23e juni. Hoewel de kortste nacht van het jaar valt op 21 juni, wordt er in Catalonië in de nacht van 23 op 24 juni midzomernacht gevierd; La Nit de Sant Joan (De Nacht van Sint Jan). De zomer wordt welkom geheten met spektakel, magische symbolen en legenden. Een nacht vol vuurwerk, feest en muziek. Er wordt speciale ‘coca de Sant Joan’ gegeten en cava gedronken. En natuurlijk komen de castellers ook in actie. La Nit de Sant Joan is een van de belangrijkste feesten in Catalonië en favoriet bij de meeste Catalanen. Ik bezocht Catalonië eind maart en heb dit feest dus nog niet mogen meemaken, maar als het aan mij ligt komt daar in de toekomst wel verandering in. Bucketlist material. 6. Wie aan Spanje denkt, denkt al snel aan stierenvechten; een nogal omstreden traditie binnen de Spaanse cultuur, sinds er eind twintigste eeuw een serieuze beweging is ontstaan in Spanje die stierenvechten wil afschaffen. De Canarische Eilanden waren in 1991 de eerste Spaanse regio die een verbod op stierenvechten invoerde. Catalonië was in 2010 de eerste Spaanse regio op het vasteland die het stierenvechten verbood. De stierenvechtarena van Las Arenas in Barcelona is omgebouwd tot winkelcentrum, met behoud van de originele façade. Met meer dan 40.000 vierkante meters aan winkels, recreatie en kantoren en met een uitkijkpunt op de bovenste etage is Las Arenas nu een modern centrum voor iedereen, ongeacht je mening over de geschiedenis van dit gebouw. De laatste stierenvechterswedstrijd die plaats vond in Las Arenas was overigens al in 1977. 7. Wellicht ligt het aan mij, maar ik wist voor deze trip nog niet dat er in Catalonië vaak geen Spaans wordt gesproken, maar Catalaans. En als je denkt dat Catalaans een dialect is van het Spaans, dan heb je het mis. Het is een taal op zich die in veel meer gebieden wordt gesproken, ook buiten Spanje. Het Catalaans is een Romaanse taal die zijn oorsprong vindt in het Latijn. Wanneer je je gaat verdiepen in de geschiedenis van de taal, ontdek je dat het Catalaans een tijd lang verboden is geweest. In de negentiende eeuw, tijdens de industriële revolutie, kende het Catalaans een herleving en sinds 1978 is de taal weer officieel opgenomen in de Spaanse grondwet. Vandaag de dag is het nog steeds een levendige taal die door miljoenen mensen gesproken wordt. Wist jij dit? Deze vier dagen in Catalonië waren er niet alleen om nooit meer te vergeten omdat het gewoon zo leuk was, maar ook omdat ik ontzettend veel geleerd heb. Ik houd ervan als ik op reis me zo opgenomen voel in een gemeenschap, letterlijk in aanraking kom met een andere cultuur en er iets van op steek. En ben je benieuwd naar waar ik ben verbleven? Naar een naar mijn idee ideale thuisbasis voor je Catalonië-vakantie? Blijf dan mijn blog in de gaten houden, want de volgende keer vertel ik je over Torre Nova Resort. Ben jij al eens in Catalonië geweest? Heb jij nog leuke aanvullingen? Nee, ik ben er nog nooit geweest, maar als ik je post zo lees is het beslist een bezoekje waard! Catalonië is ons zeer dierbaar, er woont familie waar we altijd graag op bezoek gaan! Zo gastvrij, mee eten kan altijd!!! Wij hebben veel van de Catelaanse keuken geleerd, maar het meest plezier hebben we Van de pan tomate en aiolie. De streek kent een heerlijke keuken. Wauwie prachtig! Leuk geschreven ook, ik heb in barcelona gewoond! Barcelona ben ik geweest vroeger en volgens mij valt Ibiza ook nog onder Catalonië? Daar kom ik regelmatig. Ik vind Spanje een heerlijk land en zou ook graag nog eens een rondreis door Catalonie maken, maar eerst heb ik nog andere dingen op mijn bucket reislist! Ik ben hier nog niet geweest. Wil hier erg graag een keer naartoe. Nu nog meer met deze tips! Supergaaf! Sinds ik dit jaar het vak Spaans Elementair heb gevolgd heb ik sowieso meer interesse in dit stukje van de wereld, haha. Heel leuk artikel over ons Catalonië! Het was een plezier om je dit inkijkje te geven 🙂 en graag tot ziens op Torre Nova Resort! Wat een mooie plek! Ik zou ook doodgraag naar spanje willen!